Backups are very important aspect in this changing world. 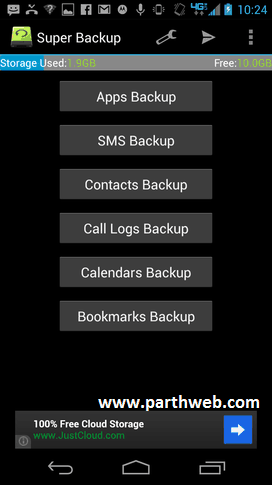 Android also need backup in many situations .Thanks to google , your contacts are backed up automatically / But what about SMS, call logs, bookmarks, non-Google calendars, and more? 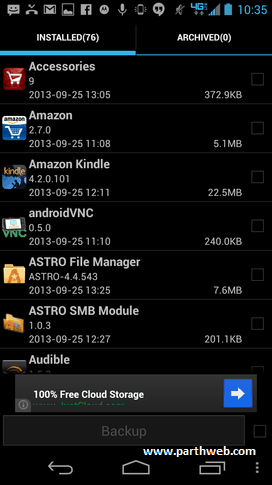 When you need to back those items up, it’s time to look beyond the built-in Android backup. For that, you should turn to an app like Super Backup. >Go to Google Play Store. First step is you need to select default storage for your backup. In order to set this option, tap on the wrench icon on the main page (Figure A). Tap the backup path entry, select External Storage Card, and then tap OK.
Super Backup running on a Verizon-branded Motorola Moto X. Backing up apps with Super Backup. where item is either apps, SMS, call logs, etc and date is a string of characters representing the date. After you’ve given the backup a name (or are okay with the default), tap OK to begin the backup process. Depending on how large your backup is, this can take some time. Select how often you want the scheduled backup to run. 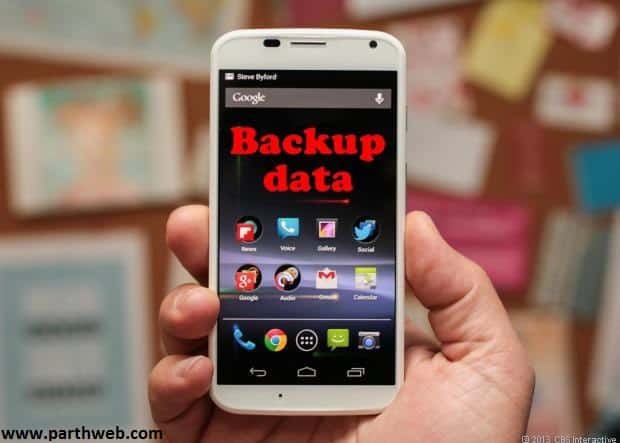 If you’re looking for an easy way to back up most of everything in your Android phone, Super Backup is best for you. What backup tool do you use on your mobile device? Share you experience in the comment below.